as a trusted Weight Loss solution. Medical Weight Loss by Healthogenics as a proven, effective, guaranteed weight loss program. Medical Weight Loss by Healthogenics helps Kim lose over 80 pounds in 6 months! Medical Weight Loss by Healthogenics helps patient lose over 80 pounds in 6 months! We can help you too! TrustDale Endorses Medical Weight Loss by Healthogenics as a Safe and Effective Weight Loss Program. Medical Weight Loss Patient loses 55 pounds with our proven, effective, guaranteed weight loss program. Medical Weight Loss by Healthogenics endorsed by TrustDale. Patient Review: Jackie Loses 60 pounds with Medical Weight Loss by Healthogenics TrustDALE - Approved! 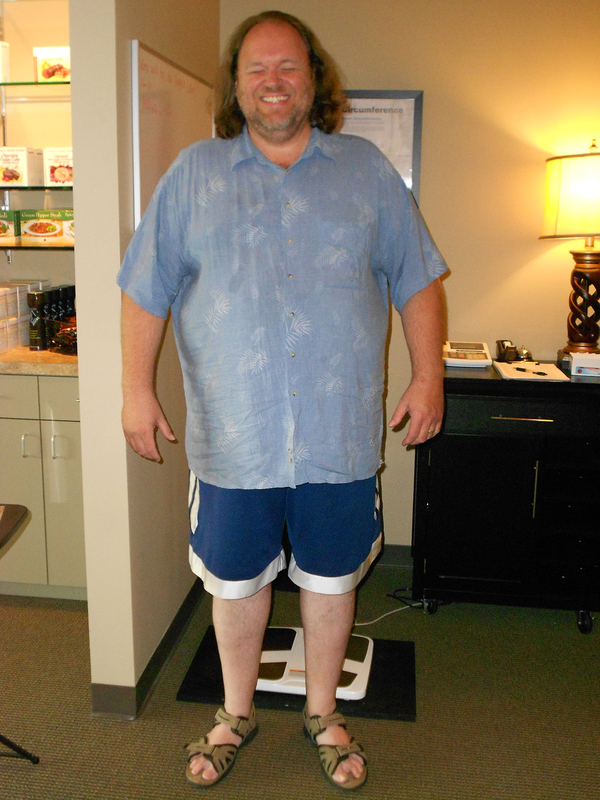 Patient Review: Danny Loses 80 pounds with Medical Weight Loss by Healthogenics TrustDALE - Approved! Lose weight with guaranteed results with Medical Weight Loss by Healthogenics. 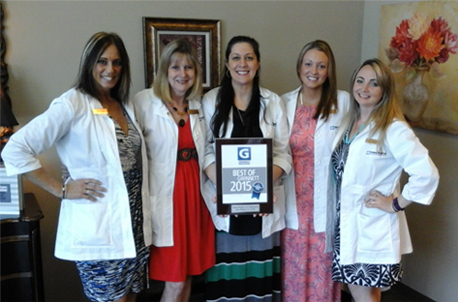 Lawrenceville, GA Center Receives Best of Gwinnet Award for Best Weight Loss Program and Center in the Area! 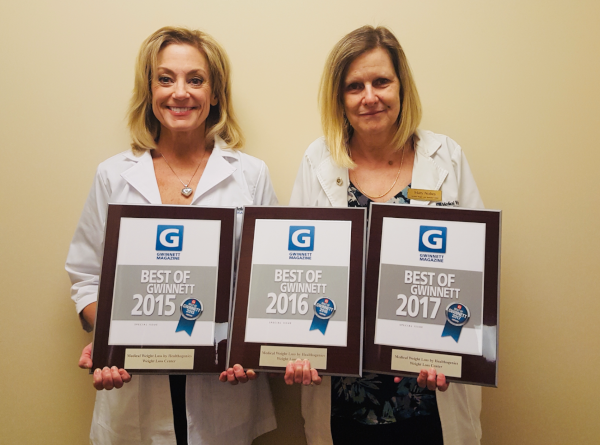 Medical Weight Loss by Healthogenics has been selected for the 2015 and 2017 Best of Lawrenceville Awards in the Weight Loss Programs and Centers category by Best of Gwinnett Magazine. Each year, the Gwinnett Magazine identifies companies that have achieved exceptional success in their local community and business category. These are local companies that provide excellence in service, programs, and charitable contributions. These exceptional companies help make the Lawrenceville area a great place to live, work and play. With over 9 years of experience, Medical Weight Loss has helped over 35,0000 successful patients lose weight and keep it off. Lawrenceville is highly respected in the community by helping those establish healthier eating habits and lose weight. Congratulations again, to the Lawrenceville Team for being chosen for the 2015 and 2017 Best of Lawrenceville Award! 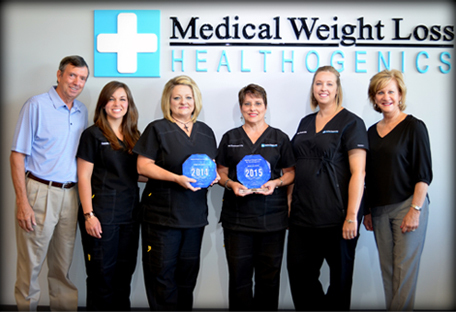 Hamilton Mill, GA Center Receives Award for Best in Weight Loss Program and Center in the Area. 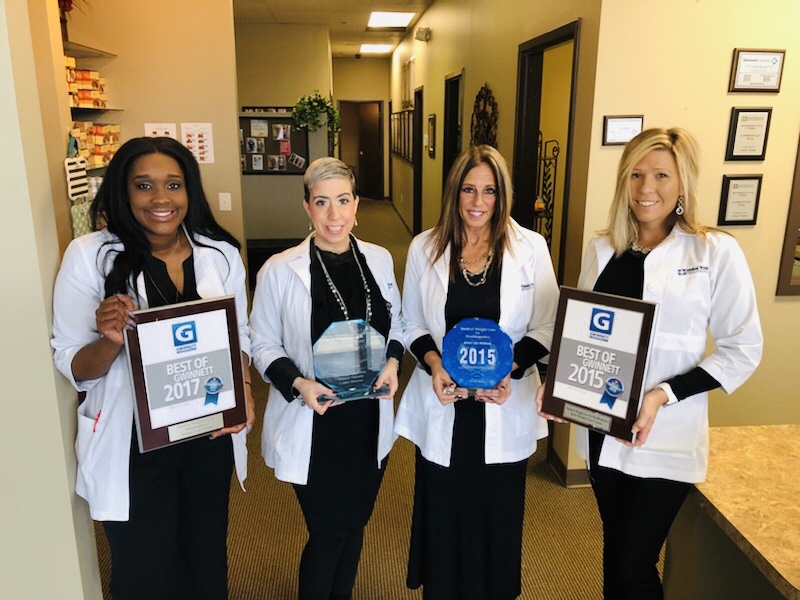 Medical Weight Loss by Healthogenics has been selected for the Best of Hamilton Mill Award 3 years in a row for the Weight Loss Programs category by the Hamilton Mill Award Program. Each year, the Hamilton Mill Award Program identifies companies that have achieved exceptional success in their local community and business category. These are local companies that enhance the positive image of small business through service to their customers and our community. Medical Weight Loss has helped over 35,0000 successful patients lose weight and keep it off. The Hamilton Mill is highly respected in the community by helping those establish healthier eating habits and lose weight. Congratulations again, to the Hamilton Mill Team for being chosen for the 2015, 2016 and 2017 Best of Hamilton Mill Awards! Rosewell, GA Center Receives Best of Alpharetta Award for Best Weight Loss Program and Center in the Area! 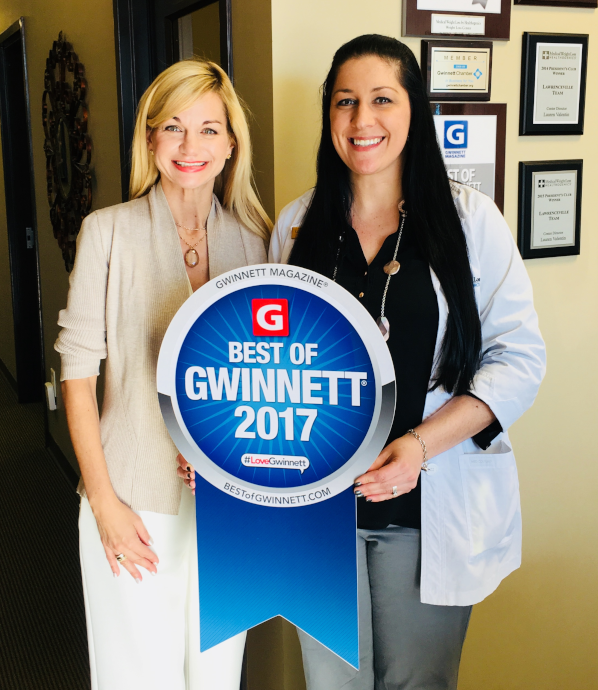 Medical Weight Loss by Healthogenics has been selected for the 2018 Best of Alpharetta Award in the Weight Loss Programs and Centers category by Best of Gwinnett Magazine. Each year, the Gwinnett Magazine identifies companies that have achieved exceptional success in their local community and business category. These are local companies that provide excellence in service, programs, and charitable contributions. These exceptional companies help make the Alpharetta area a great place to live, work and play. Medical Weight Loss has helped over 35,0000 successful patients lose weight and keep it off. The Alpharetta is highly respected in the community by helping those establish healthier eating habits and lose weight. Congratulations again, to the Alpharetta Team for being chosen for the 2018 Best of Alpharetta Award! Way to go Cullman! 2 years in a row! 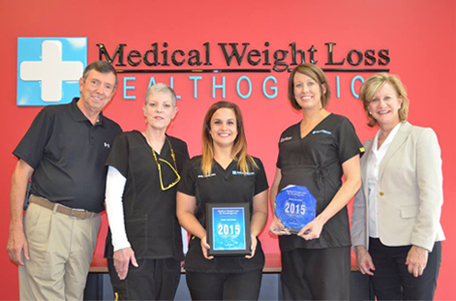 For the 2nd year in a row, Medical Weight Loss by Healthogenics has been selected for the 2015 Best of Cullman Award in the Weight Loss Programs category by the Cullman Award Program. This award follows their Best Of Cullman Award for 2014. Each year, the Cullman Award Program identifies companies that have achieved exceptional success in their local community and business category. These are local companies that enhance the positive image of small business through service to their customers and our community. These exceptional companies help make the Cullman area a great place to live, work and play. Medical Weight Loss has helped over 35,0000 successful patients lose weight and keep it off. The Cullman Medical Weight Loss Center is highly respected in the community by helping those establish healthier eating habits and lose weight. 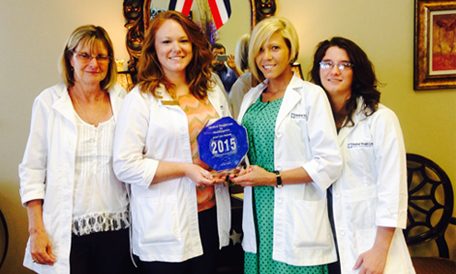 Congratulations again, to the Cullman Team for being chosen for the 2015 Best of Cullman Award! 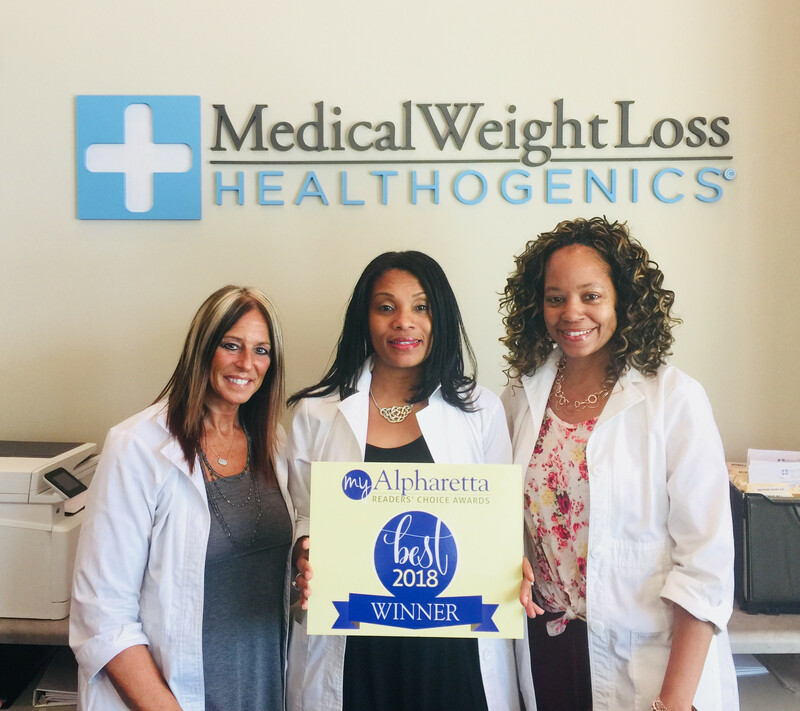 Medical Weight Loss by Healthogenics has been selected for the 2015 Best of Birmingham Award in the Weight Loss Programs category by the Birmingham Award Program. Each year, the Birmingham Award Program identifies companies that have achieved exceptional success in their local community and business category. These are local companies that enhance the positive image of small business through service to their customers and our community. These exceptional companies help make the Birmingham area a great place to live, work and play. Medical Weight Loss has helped over 35,0000 successful patients lose weight and keep it off. The Birmingham Medical Weight Loss Center is highly respected in the community by helping those establish healthier eating habits and lose weight. Congratulations again, to the Birmingham Team. 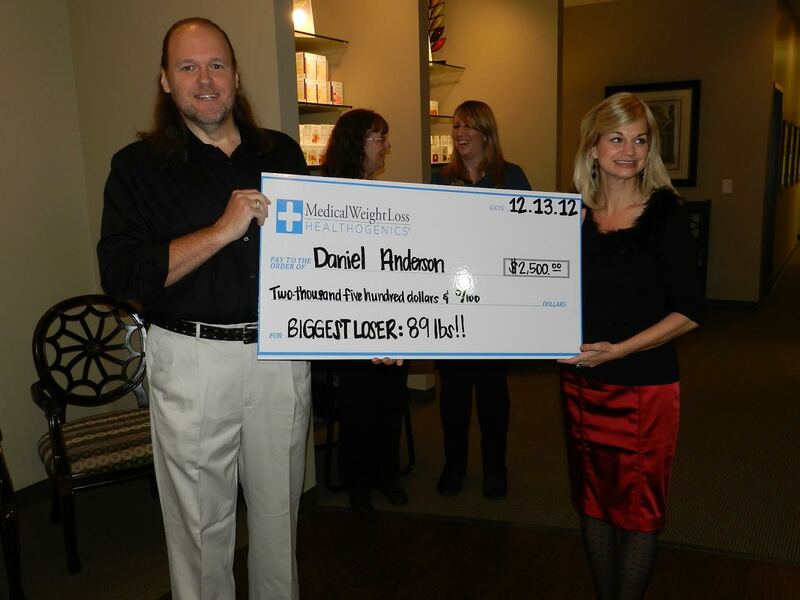 We want to congratulate Dan Anderson, for winning our Biggest Loser Contest! Dan lost over 70 pounds and was chosen as our Biggest Loser and awarded a check for $2500 from Medical Weight Loss by Healthogenics. ‘It was exciting to watch Dan’s transformation each week as he kept shedding more and more weight. It was an honor to award Dan with the Winnings of our Biggest Loser Contest.’ – said Hannah Erickson, shown here presenting the check. Dan plans to use the extra cash to buy new clothes and take his family on a dream vacation! Way to go Dan!